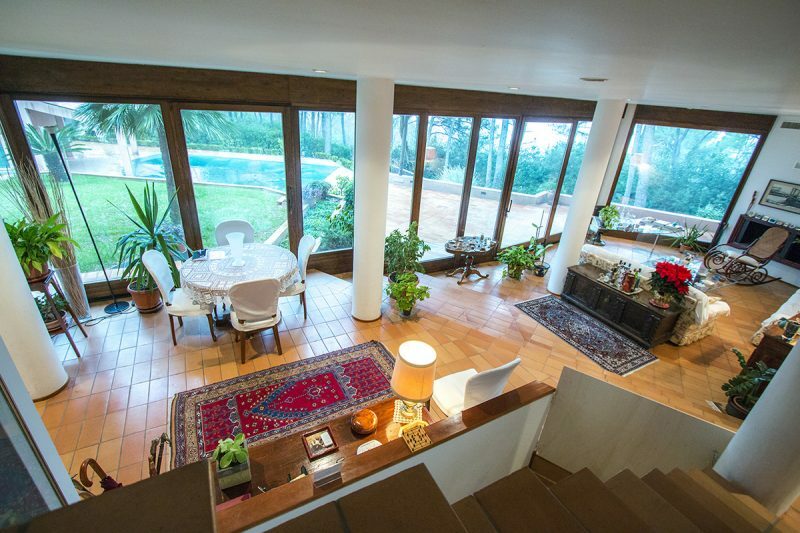 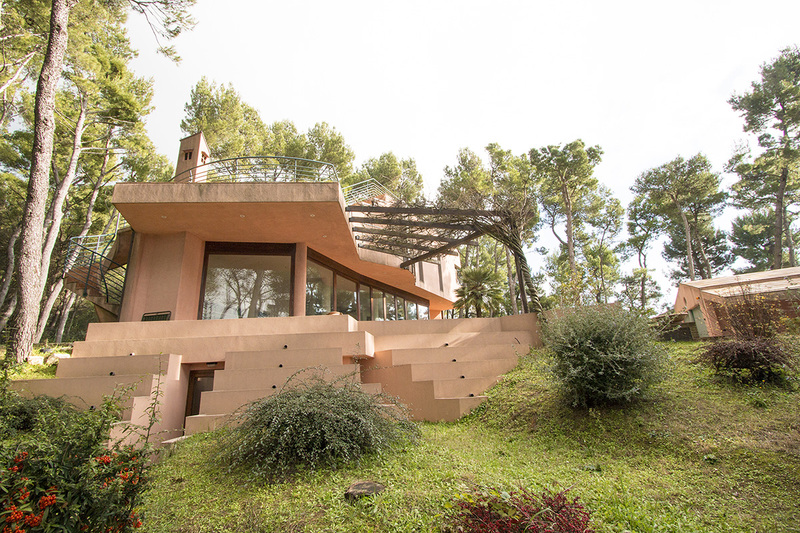 This architecturally interesting villa, which was built in 1997, is completely surrounded by a 0,5 Ha forest in the Park del Conero, about 200-250 m above sea level, just 10 km from Ancona, 3 km from the sea and 15 minutes the motorway exit. 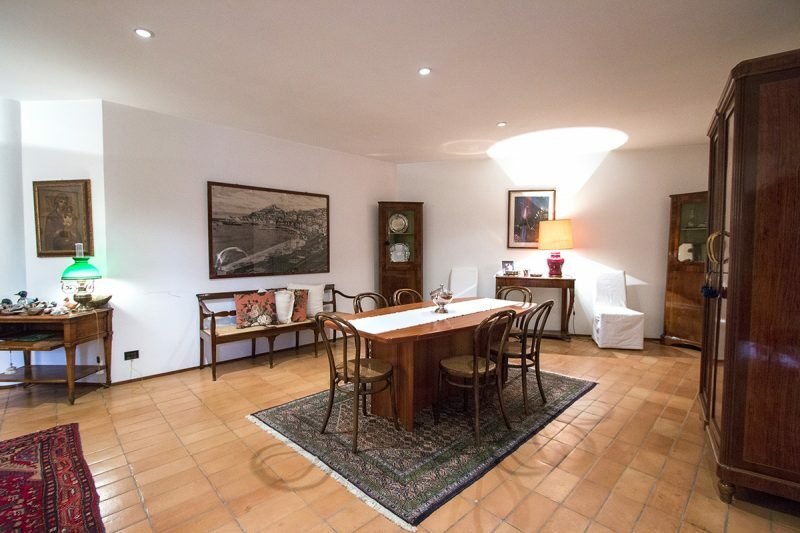 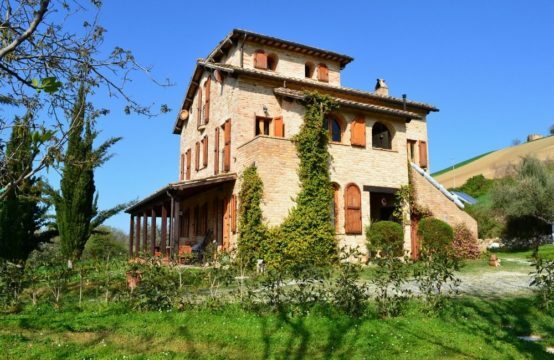 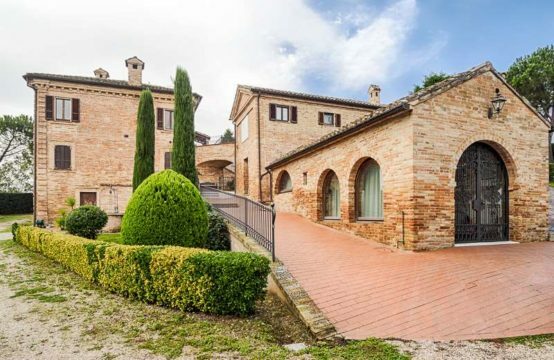 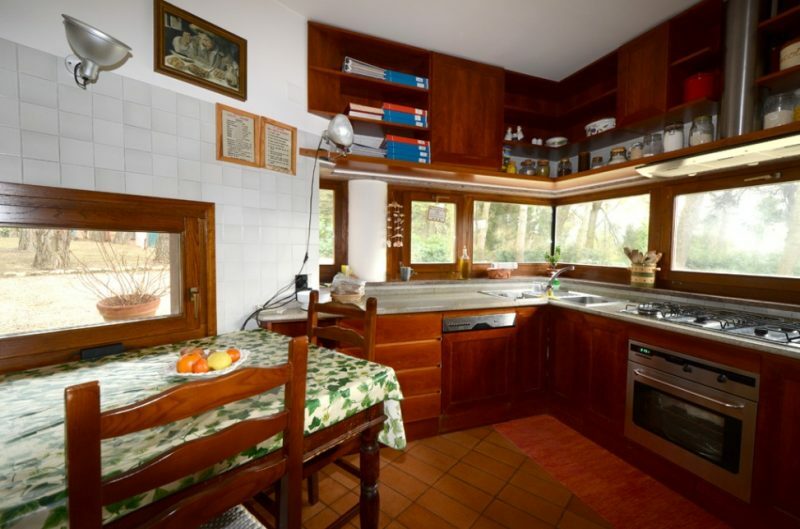 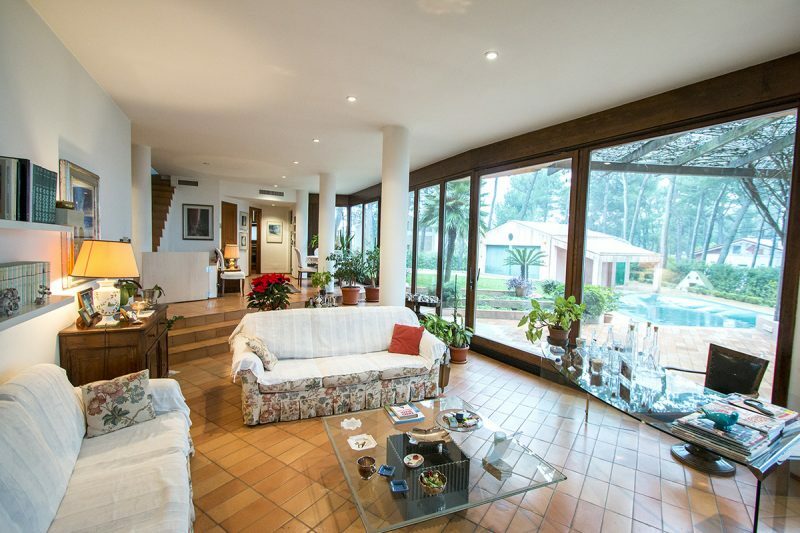 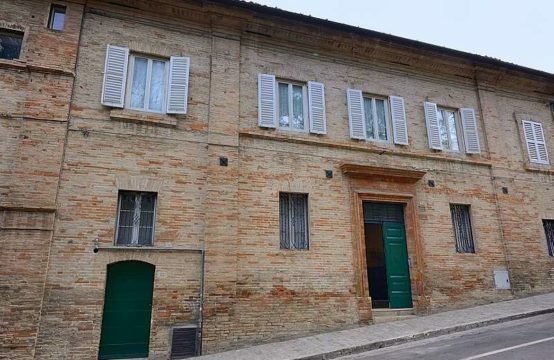 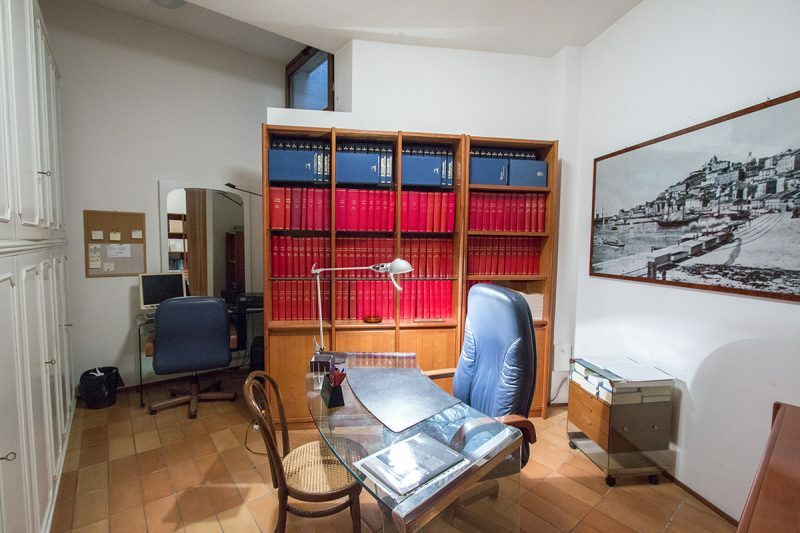 The property consists of a circa 370 sqm: villa of about 300 and two connected buildings of about 70 sqm, plus a swimming pool and a Italian bowls alley. 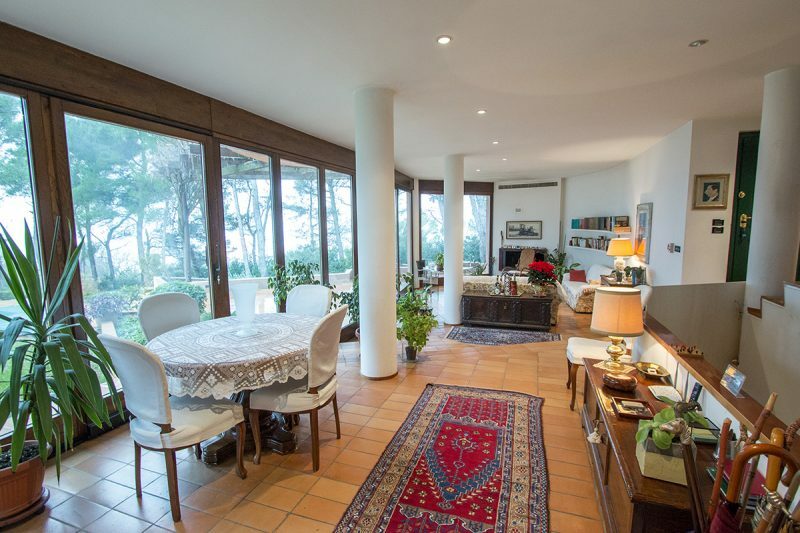 – Ground floor: a large living room with fireplace and a large French window with sliding panles, a small dressing room and a kitchen with fireplace and two separate entrances. 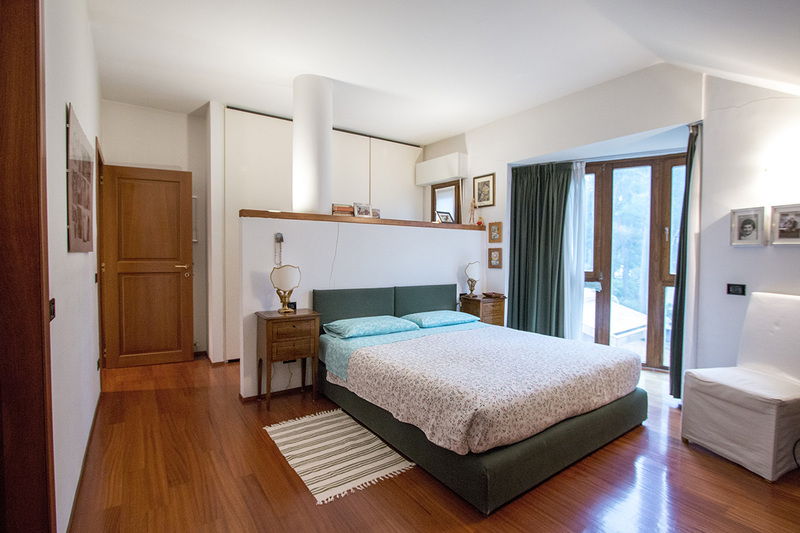 – First floor: a bedroom with bathroom and wardrobe area, two further bedrooms, a bathroom. 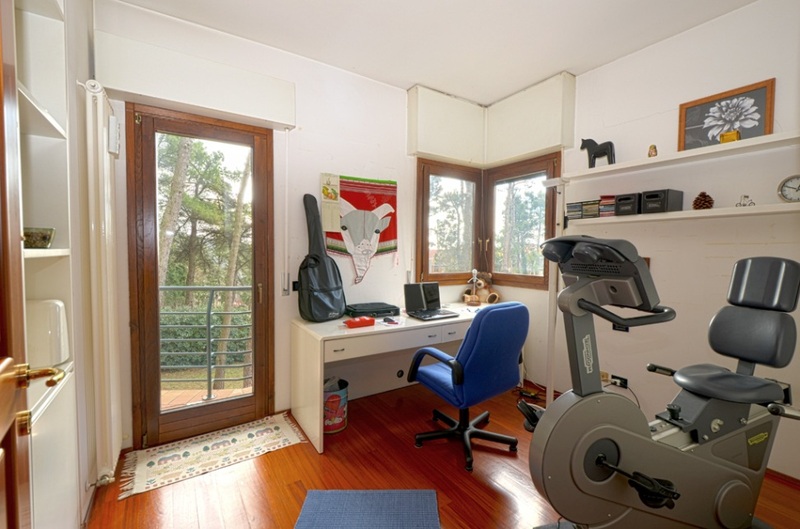 Parquet floor throughout. 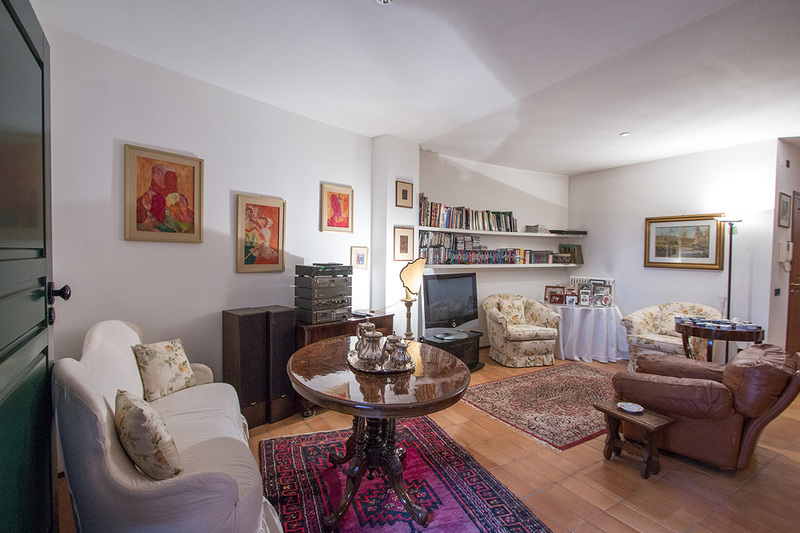 – Below ground floor: a large living room with direct access to the garden, service room / study, dressing room, technical room, bathroom, laundry, ironing room and closet. 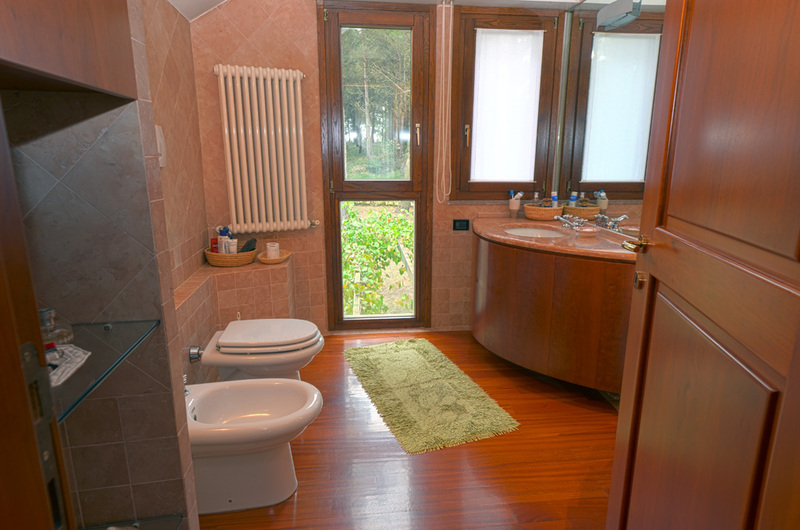 Everywhere fine materials and finishes have been used. 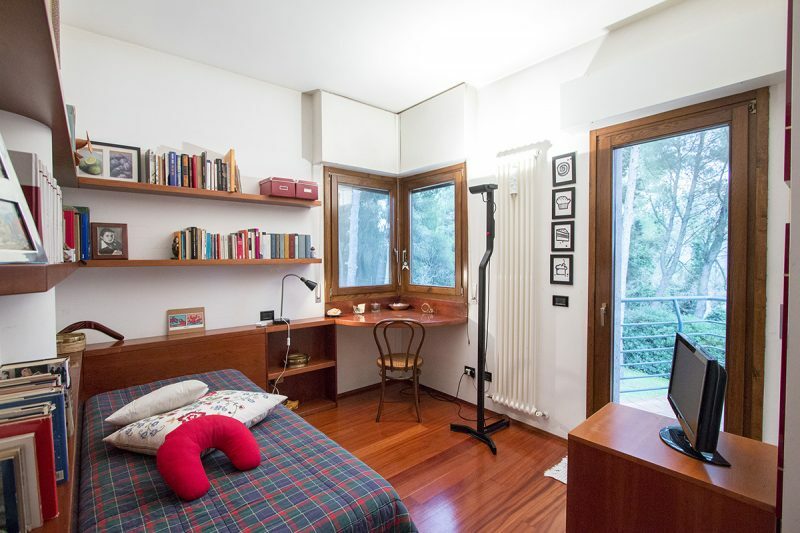 In the garden there is an annex of 70 sqm used as a garage (2 parking spaces) and tool shed. 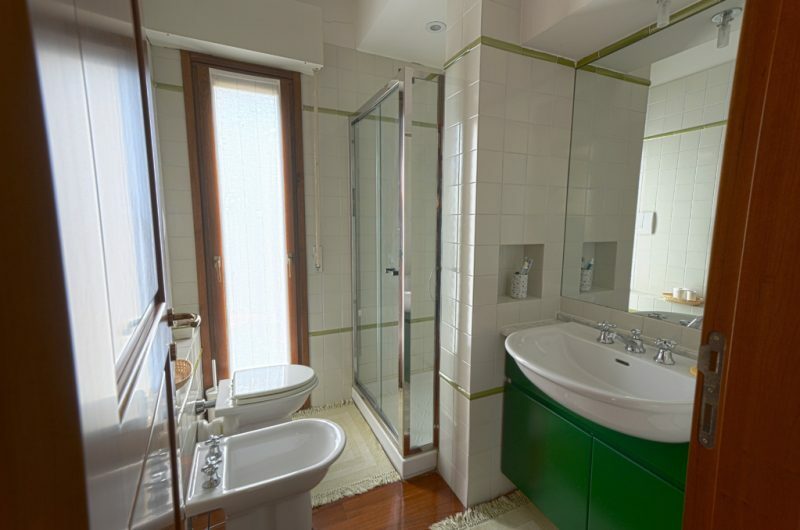 In the same building, there is a bathroom with shower pool use. 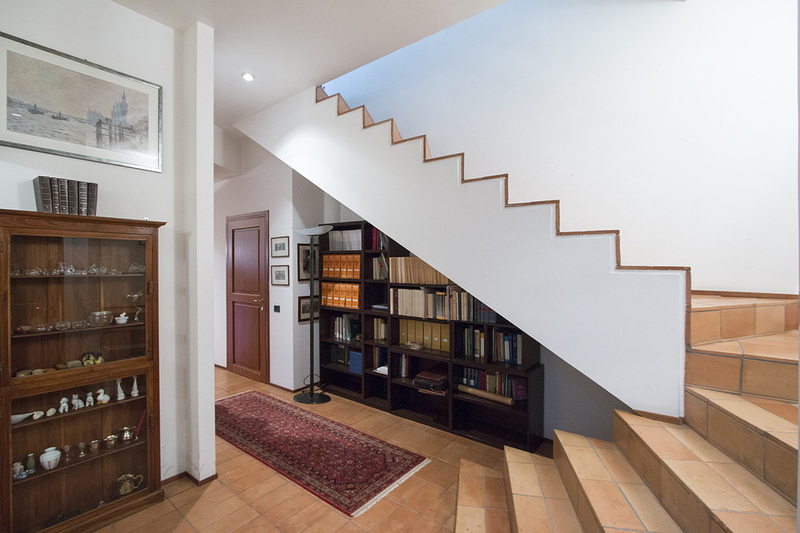 The roof of the house consists of a large terrace-balcony of about 60 square meters rather like a small amphitheater, accessed via an external staircase. From there is a wonderful view of both the pool and the pine forest and the surrounding countryside and also a small glimpse of the sea. 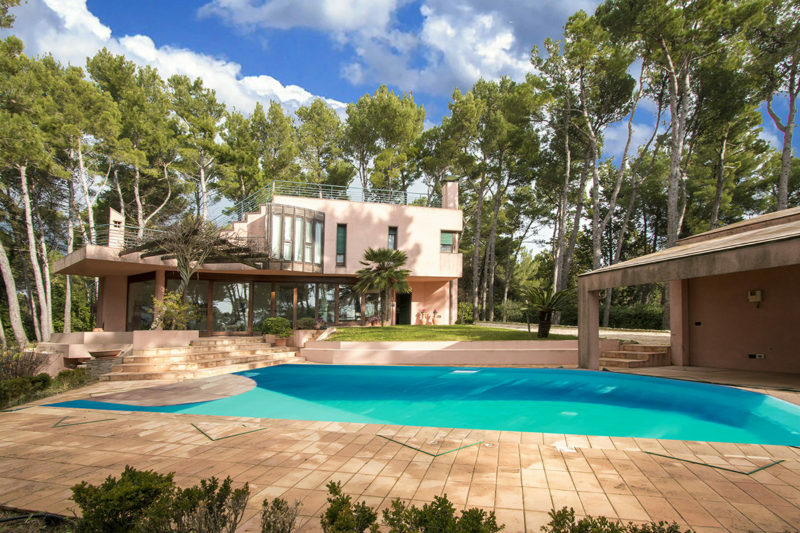 The villa is currently inhabited and in excellent condition, some maintenance needed for the exterior and fixtures.